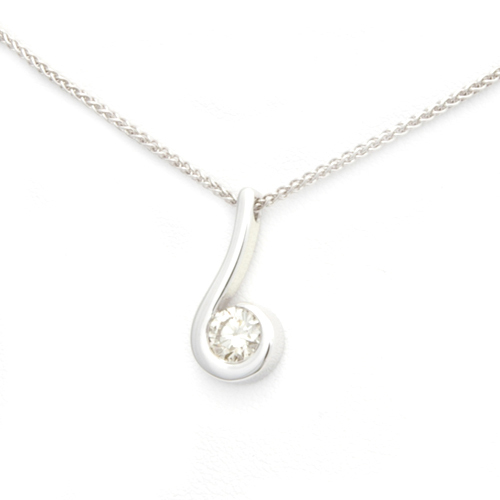 18ct White Gold Diamond Pendant — Form Bespoke Jewellers Ltd.
An elegant diamond pendant set in 18ct white gold. Designed by the customer, then handmade by expert jewellers here at Form Bespoke Jewellers. With this, the customers gave us a completed design to work with. From there it was for us to make a prototype and then it was cast in 18ct white gold. Hand set, finished and rhodium plated at our Yorkshire workshop. Finally a white gold Spiga chain was added.